This list for us adults, kids do not need 8 reasons. Just tell them you are going to Africa to see lions, elephants and giraffes in the wild while riding an open top safari car. This list is to convince you parents that this is one of the best vacations you can take with children 3 and older. 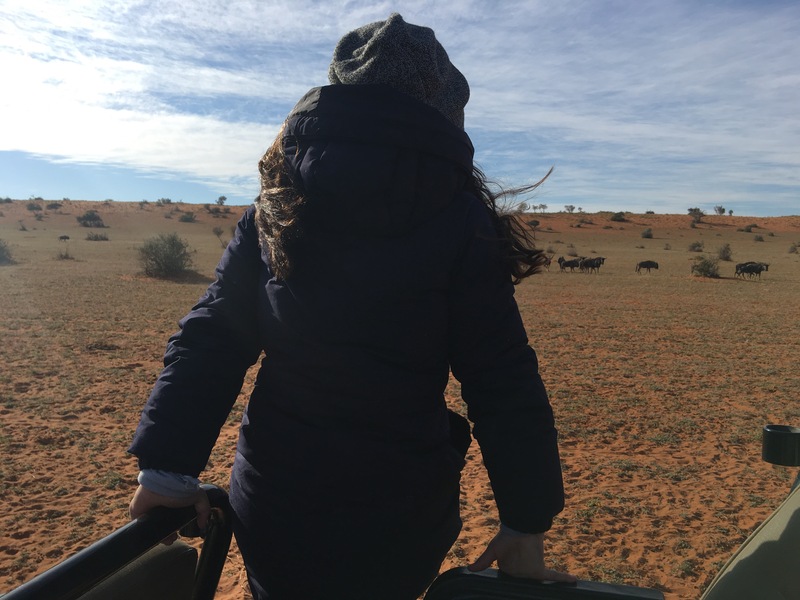 And if you don’t need any convincing you can wait for the next post where I tell you my ultimate safari packing list, when the best times to go is and how to choose the best lodge for your family! 1- To see African wild life in their natural habitat. Most of us have been to zoos, and maybe even the ‘safari’ drives just outside of cities where monkeys jump on your cars trying to steal food and your instructed to keep the windows rolled up so the lions don’t try and get it. This is not that. This is a whole other planet. Driving in an open top safari car spotting animals is magical. these drives always include the guide who is driving and the tracker who sits on the left side hood of the car on a chair mounted above the front bumper looking for tracks. So far in my safari experiences the trackers have been mysterious characters who are not very talkative but seem to be the ones running the show silently while the guides have been charismatic, talkative and full of information. Animals in the wild are nothing like the ones in the zoo. Zoo animals look broken, they are trapped in small enclosures and have no choice in being paraded around loud and sometimes obnoxious people. In some places they are chained, in other places they have things thrown at them. Yes some zoo’s treat animals well and in fact work towards conserving species and running beneficial studies but still the animals are no less trapped and no less broken in my opinion. Outsiders, made to live on our spaces the way we decide they should live. In a safari there is no doubt who the outsider is. When you approach a herd of elephants it’s the elephants who decide if you are staying or going, if they will allow you to be there in their presence. Its our job not to disturb them, to stay out of their way in their home and to stay quiet. We go by their terms. I have seen a heard of elephants playing in water, 2 male cheetahs grooming each other, 2 white rhino’s fighting meters from our car (and let me tell you non of us breathed till they were done and moved away). I rode on horse back beside a journey of giraffes that looked very bewildered by our presence then just and quickly seemed to be bored of us. I stood 2 feet away from a family of meerkats sunning themselves while their little ones played. I even watched as lions ate from the caracas of a giraffe they had killed, so close we could smell the giraffe and heard the lions chewing. So no, this is not like the zoo. Go on a safari. 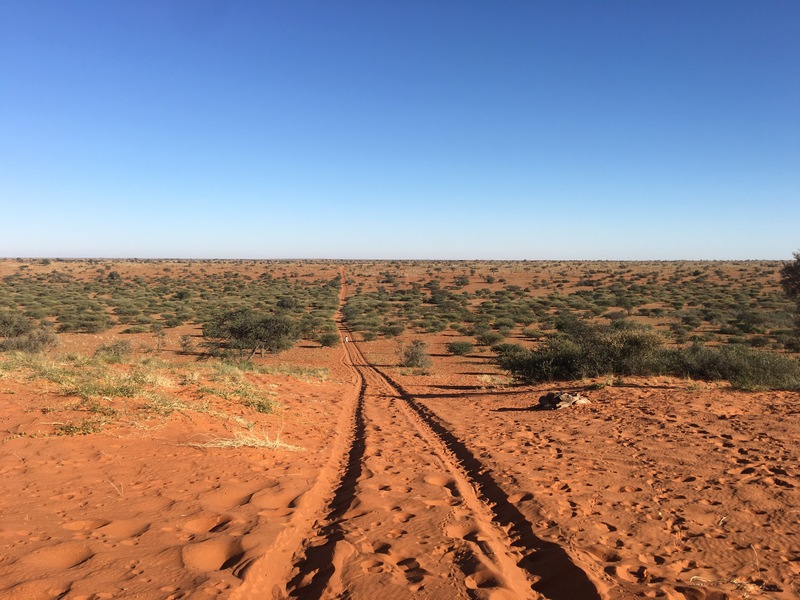 On my first trip to South Africa I was worried about the amount of time we would spend on game drives and decided that when we get bored we would shorten them or even skip them. This never happened. We spend 3-4 hours in the morning then another 3-4 hours in the evening on these drives. Once with a 3 and a half year old and this time with a 4 and a half year old. In most places you wouldn’t be surrounded by animals as soon as you leave the lodge (if you want sure fire spotting then look for smaller reserves. The animals here will probably be more used to the vehicles and the space is a smaller one so finding the animals is easier). Most of the time there are long drives in the bush in silence. Or as much silence as you can expect with a 4 and 6 year old. Inevitably they end up having a nap which is another reason this is doable. Juji using Khaled as a pillow as they both napped. Living in cities our eyes very rarely have an unobstructed view. In the bush you can see right to where the world dips. When I have this view I feel like my eyes are thirsty for it. It’s the same feeling I have when we go to the desert. We never get to use our eyes that way anymore. Most of our vacations are spent in cities. And with kids ranging in age from 4 to 13 they don’t all want to do the same thing. And in all honestly I generally don’t want to do what they are doing. I end up spending at least 40% of my day planning outings, getting people places, making sure they all get back etc. This is the only vacation we have taken where we all spend all of our time, from waking till bed time, together! I spend more time with my family on safari trips than I do at home. So far, in all the 4 lodges I have been to, we have 5 meals a day. Yes 5. These are: 1-Pre breakfast breakfast, 2-then breakfast or brunch, 3-then a snack late afternoon, 4-then a snack on the evening game drive and finally 5-dinner. If you are not a meat eater I suggest you tell them before you come and most places, if not all, will accommodate. Our nanny is a vegetarian and they always made sure to have something she could eat. They also go to lengths to make kid friendly food. The first day we arrived they told me they could make pizza and burgers for the kids and I asked them not to. This it’s the perfect time to get the kids to try new things, especially if they don’t realise there is an alternative! We did have burgers on a day they took us out to the bush of brunch tho. The set up for our bush picnic. How beautiful is this! Seriously. The meals are cooked by incredibly skilled chefs. Every singe thing we ate was delicious and every meal and snack had something sweet to follow it. Combined with the hours of sitting please be prepared to leave the lodge a little heavier than you arrived. We tend to do a lot for our children here in the Arab world and mostly for the sake of efficiency and time management. This means they miss out on learning important life skills. I find a safari trip is a great place for children to take more responsibility with organising their things, packing, unpacking, keeping everything tidy and making sure they keep track of the things they need on safari outings (more on what to pack for a safari trip at the end of this post). Another thing I love about safaris is the lodges always have books to read and board games to play with the children were expected to use these respectfully and put them back as they found them where they found them. We also sit down for 3 meals a day together which we don’t manage on the best of days back home. And these meals are not quick ones. First we all have to be seated, then the chef or the waiter comes and tell us what the meal is, starter, manicures and desert. Then we get asked what we want to drink. Khaled, my 4 year old, always wants sparkling water with ice and lemon. He used to call is spicy water but unfortunately he heard me using the correct word once and it stuck. We then have to wait for the dishes to be served and this is when I realise the younger ones have no concept of waiting for everyone to get their food. We of course have to all finish before the main course is served then dessert. If you ever wanted to work on proper meal etiquette there is no better place. Because while the whole set up is formal everyone is still in their safari clothes and they’re stuck with us for the duration of our stay so we won’t be asked to leave if (and this is just ad example of course… never happened…) your 4 year old decides to pretend he’s a mouse under the table. For both adults and children. This is the perfect opportunity to put away the electronics an detox. Why? Because it is a totally new experience so the kids will likely be interested in everything around them. Also helpful that the internet and phone networks are weak. Although my husband was able to get whatsapp messages when we got on the top of hills so airplane mode is a good way to go if you use your phone as a camera. On this trip we decided that we would put away all the iPads as soon as we landed and only use phones when needed. I was a bit worried when I realised there was a television in the lodge but the kids didn’t even mention it once. Now this is a bigger challenge than you would imagine, or I thought it would be, because of the long hours of down time between the morning drive and the evening one, sometimes over 4 hours. I did not imagine it would go so smoothly. Although we are a family that does not allow electronics during the week days when summer began we slipped big time so I wanted this fast desperately to reset us. It was effortless. We were so removed form our day to day lives that th norm was how we set it up to begin with. I think if we tried to moderate it would have been a nightmare for abstinence was the best choice! This goes back to the previous point. Without the iPads we had to fill our time with other things. I don’t even know what exactly we did in this down time. We played a lot of word games and memory games, we read, we lounged around. J spend a large amount of time in the kitchen learning how to cook some things and helping the chef out. K napped. We napped. I read a book for fun, not to learn something. We ate a lot. But not once in those 6 days did the kids pick up their iPads or switch in the TV. Bliss. The thing that surprised me the most was when my older two, 13 and 10, got into the pretend play with the younger 2 who are 6 and 4. They were chasing monsters on the deck and spotting imaginary animals and most of the time K was the animal. As many of you may know poaching and hunting has lead to the near extinction of many species in Africa. The same has happened in the Arabian peninsula. So much so that some species no longer exist in the wild neither here nor there. Last year 1175 Rhino’s were killed for their horns and remain to be a target for illegal poaching. According to World Elephant Day website around 100 elephants are killed daily for their ivory, meat and other body parts. In the last decade their numbers have dropped by 63% and they could face extinction in the next decade. You have a chance to help out by funding the reserves that take care of these animals in the ever shrinking natural habitats they have left. I implore you to research the lodges you plan to go to and make sure you are supporting ones that care about and contribute to conservation. There are even some out there where you can get involved in the action and help them in running their day to day which is incredible. Please ask if any of the profits from the lodges you plan to go to actually go to conservation. Also how they minimise the negative effects of safari travel on the wild life to preserve it. If you do not do this research you can just as easily be funding the destruction of these habitats instead of conservation. Always do your research. In the next post: When to go on a safari, What to pack and how to choose the right lodge! Next Family Safari Trip, When to go, Where to go and what to pack!